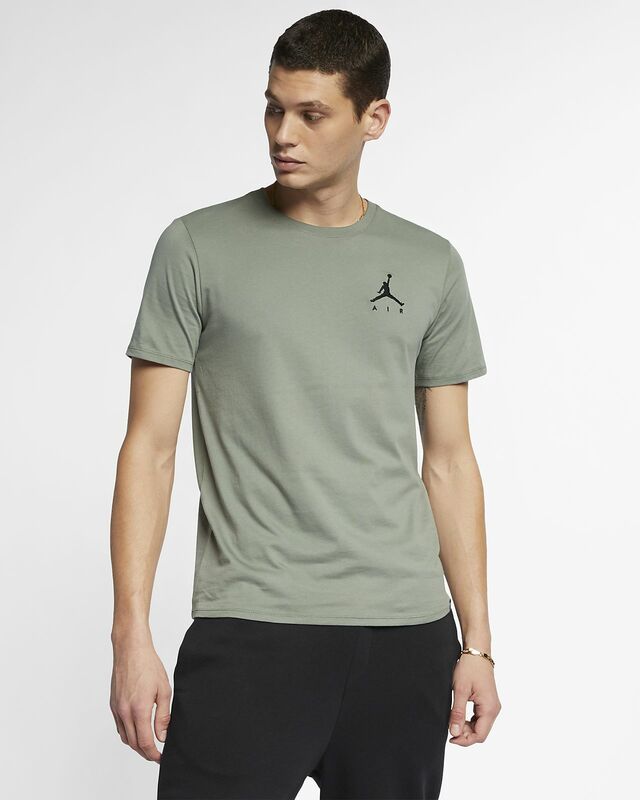 The Jordan Sportswear Jumpman Air Men's T-Shirt is made with soft jersey fabric for a comfortable feel. The Jordan Sportswear Jumpman Air Men&apos;s T-Shirt is made with soft jersey fabric for a comfortable feel. Fabric: Heather: 50% cotton/50% polyester. Solid: 100% cotton. Have your say. Be the first to review the Jordan Sportswear Jumpman Air.